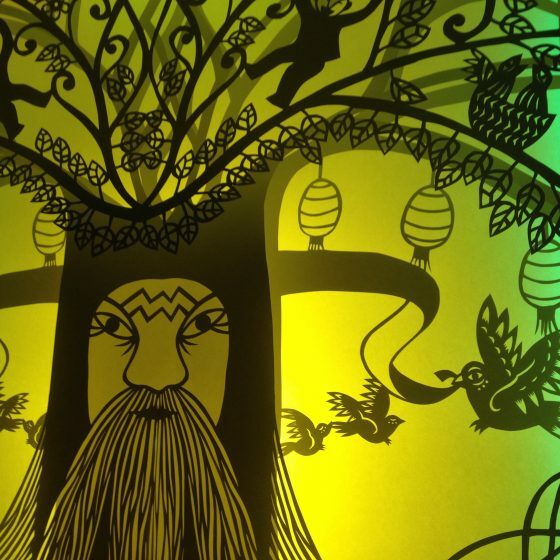 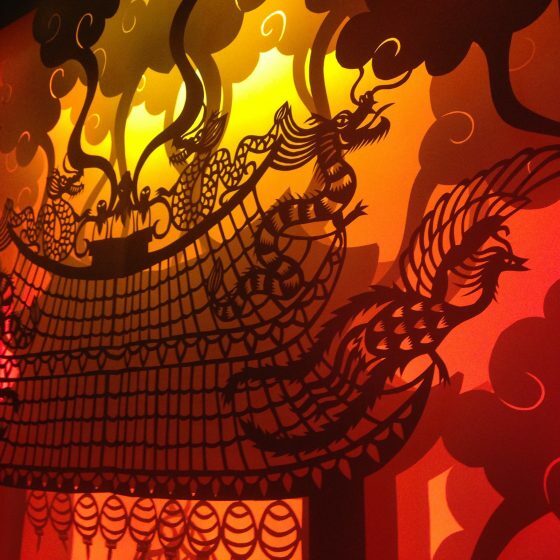 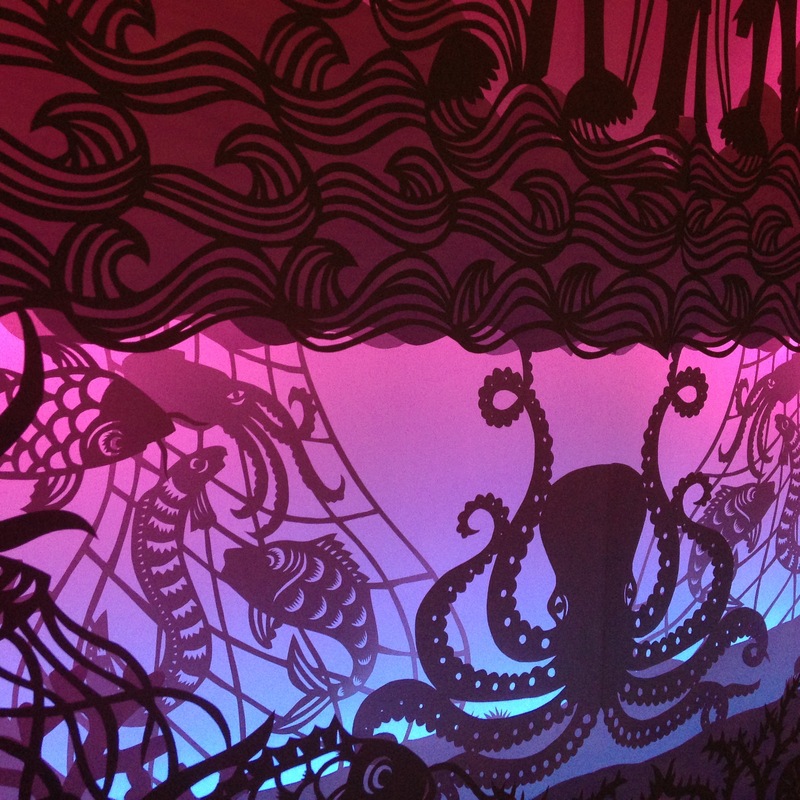 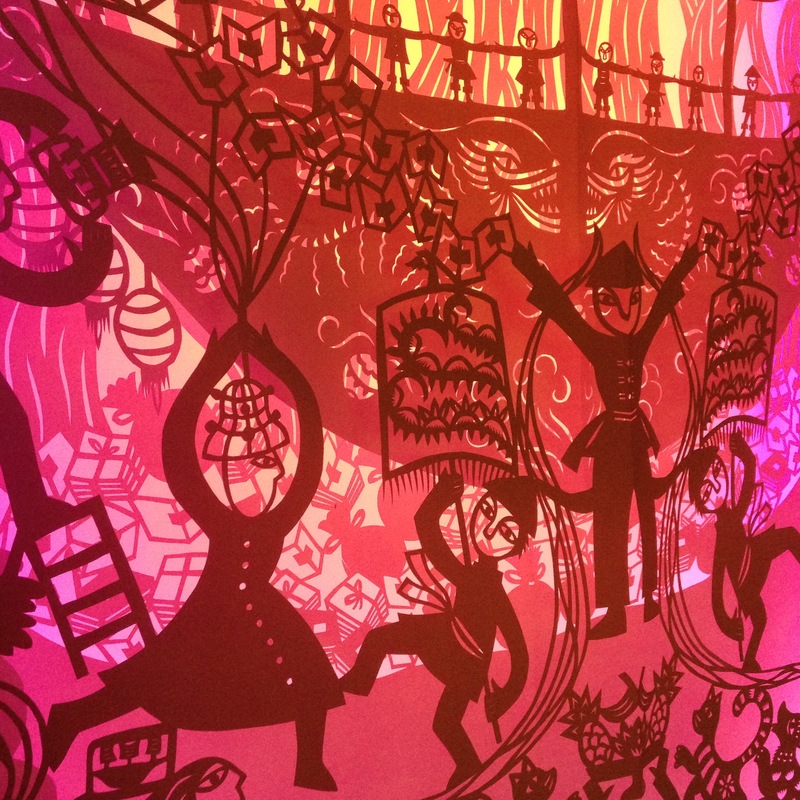 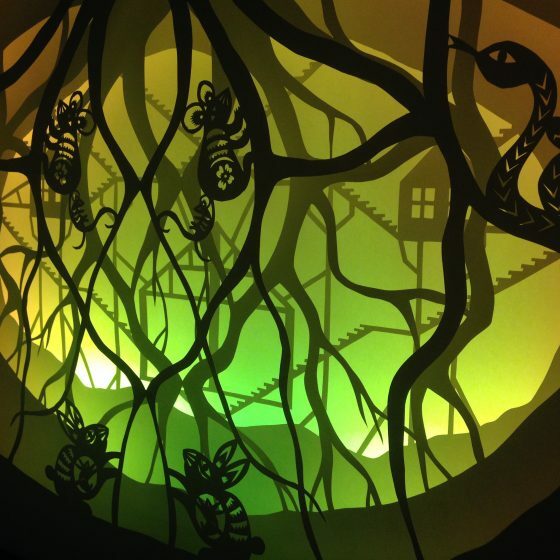 A multi-layered paper cut installation created for children of all ages that describes the perception of Taiwanese spiritual culture through the eyes of a curious wanderer. 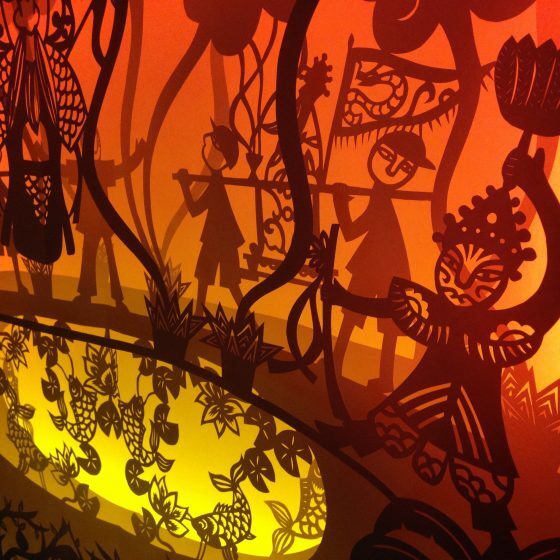 The large-sized illustrations welcome the viewers into a space of light and contemplation and capture them within their intricate patterns and backlit depth. 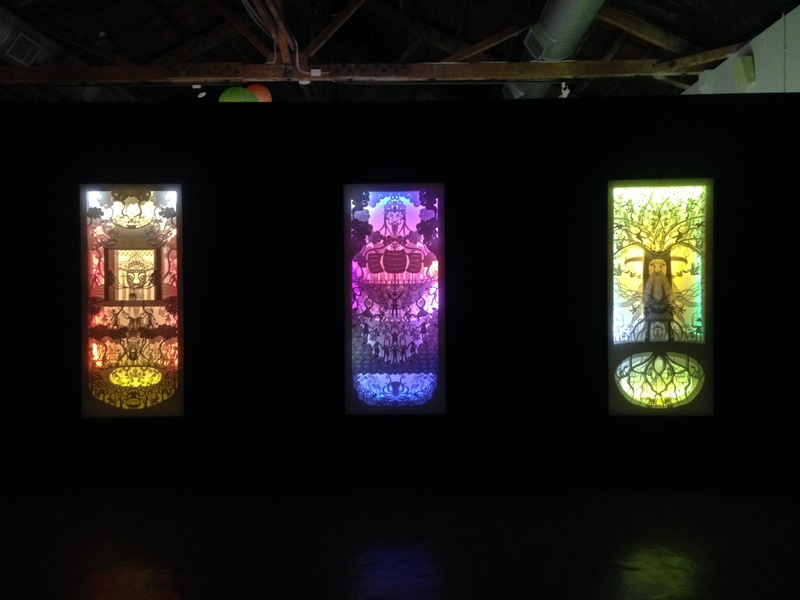 The scenes are based on three of the many ceremonies witnessed by the artist during the first days of her residency in south Taiwan. The illustrations have been created mixing traditional Taiwanese paper cutting techniques with a personal contemporary style; the details are inspired by local temple decorations, Taiwanese children books and observation of everyday life.